The Cincinnati Bengals are a professional football franchise based in Cincinnati, Ohio. Their home stadium is the Paul Brown Stadium. They form part of the American Football conference (AFC) North division in the National Football League (NFL). Their current head coach is Marvin Lewis, who has held the position since 2003. This makes him the second longest tenured head coach in the NFL. Read on for more on the team’s history and performance in the NFL since it joined in 1970. The Bengals were founded in 1966 by former Cleveland Browns head coach Paul Brown. The team was initially a part of the American Football League (AFL) which later merged with the NFL. The Cincinnati Bengals, along with other former AFL teams were assigned to the AFC after the merger. The team’s uniform colours draw inspiration from the animal they’re named after – the Bengal tiger. It consists of orange, black, and white. The new tiger stripe pattern was added to the uniform in 2004. A Bengal tiger named Who Dey is the Cincinnati Bengals’ mascot, while their cheer leading squad is called the Cincinnati Ben-Gals. Although they’ve made it to the NFL playoffs in recent years, they haven’t made it past the Wild Card playoffs in the five years that they’ve appeared there from 2011 to 2015. In fact, they’ve not won a playoff game since 1990, making this the longest playoff drought in the NFL. 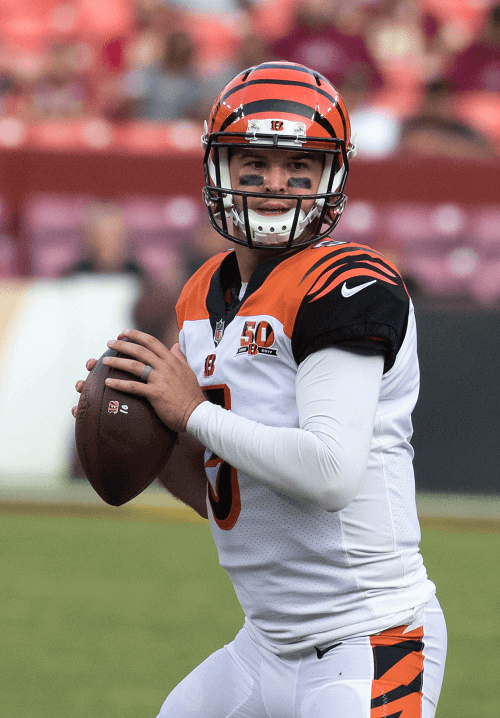 If the current stats are to go by, the Cincinnati Bengals aren’t a team to wager on during the NFL season. Their continued failure to make it past the Wild Card playoffs hasn’t inspired confidence in bettors to risk their money on the tigers. With the Cincinnati Bengals and the Cleveland Browns performing the way they are, it doesn’t seem like the state of Ohio will be in the Super Bowl any time soon.